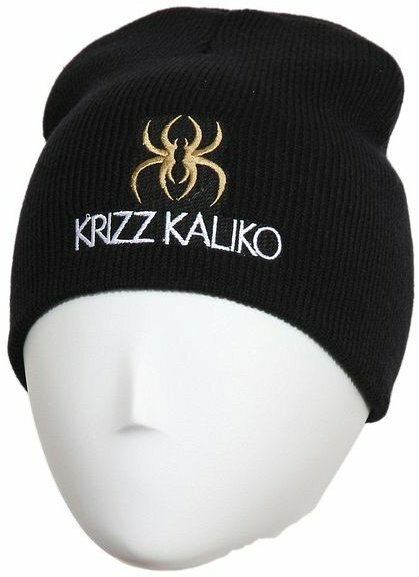 Envelope your dome with Genius with this Krizz Kaliko black skull cap. One size fits all. This cap features “Krizz Kaliko” written under the Spider K logo. Click here to get yours today.